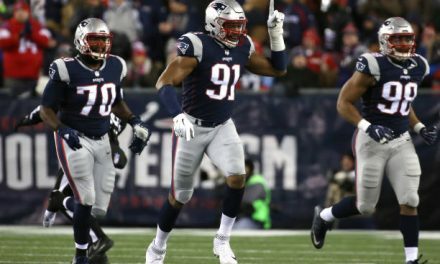 When it comes to a formula for achieving the success that the New England Patriots have, it goes like this. Be disciplined and professional. Control all the details that could possibly matter in deciding games. Above all, strive to win the games in your division, then your conference, then the others. They’ll say that each game is just the next one and that they are all equally important. But we know that the games against divisional rivals carry a little extra hot sauce and can mean the difference between winning a title or fighting for a wild card spot. Since the 2003 season when the divisions realigned the Patriots are 26-4 against the Bills, 21-9 against the Dolphins and 24-6 against the Jets. That translates to a .789 win percentage (71-19). Divided among all the seasons they are averaging nearly 4.75 wins every year out of six total divisional games. How do they do it? By knowing their opponents. You have to know them to beat them. Control all the things that can help win you games, right? So we dive into some of the changes that each of these squads underwent from the last time you saw them and how they have fared in the preseason. When the Patriots see them on the field you will have all the information that you need in order to root your team on for their sixth ring. 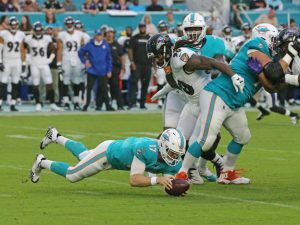 The Dolphins underwent a season of change after Head Coach Adam Gase’s sophomore season. I’m sure that Patriots players are glad to see Jarvis Landry and Ndamukong Suh gone. An offensive line shuffle that Mike Pouncey leave and Josh Sitton come in. Patriots fan favorite Danny Amendola joined the aquatic mammals along with the league non-kicker old man – Frank Gore. The Dolphins drafted DB Minkah Fitzpatrick and TE Mike Gesicki with their first two picks and Quarterback Ryan Tannehill is back throwing the ball for the 2018 season. The 2018 preseason has gone, uh, not good. Three close losses against the Buccaneers, Panthers and Ravens have fans wondering if they are going to be any good this season. Despite their struggles on 3rd downs they have scored 24, 20, and 10 points in each game. Unfortunately, their opponents have been better and according to my in-depth analysis, have been scoring more points. This team feels like it’s struggling to find its identity. Perhaps too much flux happened in the offseason? The fish squashing in New England happens on September 30th. The Patriots will get a mini-vacation in the Miami sun on December 9th. Despite the historical record the Dolphins have a weird hex on the Patriots. Miami has split the season series in 3 out of the last 5 seasons and last made the playoffs in the 2016 season. There is most certainly a small fire being lit under Tannehill and Gase without greater success this year. In case you don’t live near the football Mecca of Buffalo, NY; they are quite pleased with themselves. Ending a playoff drought of 17 seasons and getting that monkey off your back will do that to you. Unfortunately, they also fell victim to a snoozer loss to the Jacksonville Jaguars in the first round of the playoffs. Still, you have some success, keep the core in place for your second year head coach and make some incremental changes for improvements next season, right? Not these guys! Wholesale changes! BUY, SELL, TRADE! EVERYTHING MUST GO!! Tyrod Taylor – GONE! Cordy Glenn – GONE! Throw in some Jordan Matthews, Richie Incognito and Preston Brown and you got yourself a DEAL! Others of note that are no longer on the team include: E.J. Gaines, Eric Wood, and Mike Tolbert. This is a tremendous amount of turnover. Fortunately, they brought in many more players to begin the job of rebuilding. A.J. McCarron, Chris Ivory, Star Lotulelei, Vontae Davis will all get a chance to make a name for themselves under second year head coach Sean McDermott. Joining valuable draft picks Tremaine Edmunds and the polarizing Josh Allen, they may form a core that will be the team that the coaching staff wants. Beating the Browns and losing to the Panthers and Bengals should do nothing but provide you with optimism heading into the regular season. Yet, it seems that there is growing dread for the fans of this team. 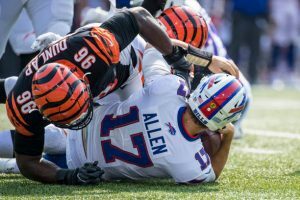 The team was riding high following the skills competition that Josh Allen put on in week 2 after an injury knocked out veteran starter McCarron. He seemed poised to seize the job in the dress rehearsal of week 3. It went poorly. The offensive line was a sieve. The quarterback looked slow and harassed. The team looked nothing like a squad ready to take it to the next level and challenge the incumbency for glory. The Patriots make a Halloween weekend trip to Buffalo for some tricks and treats on October 28th. The Bills travel to snowy New England for some playoff gifts on December 23rd. This could get ugly this season. If the new personnel and coaching do not coalesce into a cohesive unit they could be in line for a bad campaign. In the last 6 seasons the Bills have 2 victories against the Patriots, including a week 18 meaningless win in Foxboro when New England had already secured their playoff spot. Who starts for the Gangrenes? Veteran signal caller with magnificent hair in Josh McCown? My Boy, Teddy B, trying to regain his shine following his freak and horrific knee injury after nearly 2 years? Or the young upstart apprentice in the hair game in Sam Darnold? The head coach Todd Bowles has some decisions to make. Mike Maccagnan also had some decisions to make in the offseason when he JETtisoned (see what I did there?) 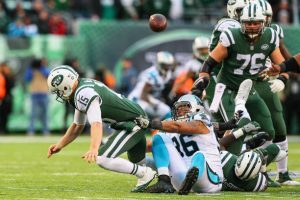 Demario Davis, Muhammad Wilkerson and Kony Ealy in favor of some new energy in Isaiah Crowell, Terrelle Pryor and Trumaine Johnson among many others. Will it come together for this team in 2018? Weeeellll, it might? And while the coaching staff has to be encouraged by the growth of Darnold and the resilience of Bridgewater, they have gone 1-2 so far in the preseason. There might just not be enough on offense to improve the scoring output of 17, 15, and 16 points. A win against the Falcons sans their talent, and losses against Washington and cross-stadium rivals the Giants didn’t help their case. These games have the fans hoping for some quick improvements once the contests matter. The Patriots look to work off all that turkey by beating the stuffing out of the Jets on November 25th in New Jersey. And the Jets may be clamoring for a playoff spot on the final week of the regular season in Foxboro. It would be fitting if the Patriots were in the position to not rest their starters and deny this team a playoff spot with an easy win. 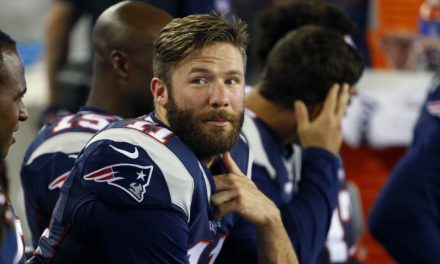 The Patriots generally have good success against this team in the regular season as they have lost just twice in the last seven seasons. This followed the playoff loss to the Rex Ryan squad led by Mark Sanchez. The Patriots will look to continue the success against whoever the jets have slinging the ball in 2018. There you have it. 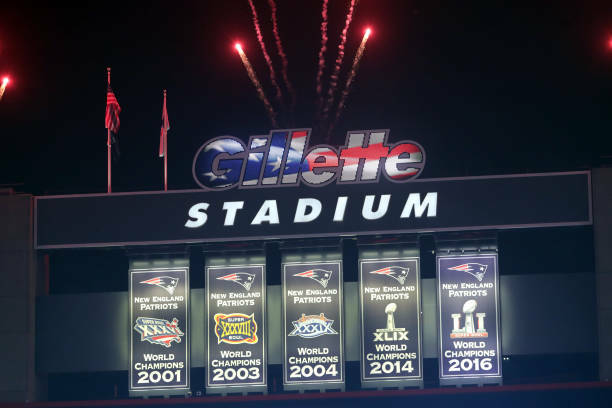 The Patriot’s divisional opponents for the 2018 season. I believe it was Sun Tzu who once said, “In order to secure your playoff spot, you must beat your divisional opponents” (Probably). 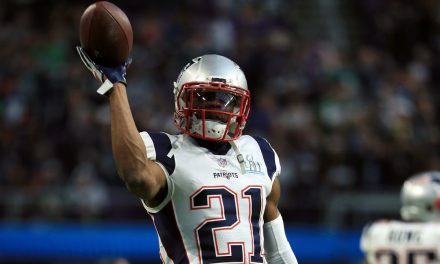 The New England Patriots have been death of dreams and destroyers of worlds for fans with championship aspirations in the division and I hope they continue that for the 2018 season.